On Friday (May 29, 2009) President Obama announced the nation’s plan to defend against attacks on the nation's computer networks; a “strategic national asset.” This plan includes appointing a Cyber-Security Chief, whom he has not yet chosen, in the White House. Obama will sign a classified order within the coming weeks that will create the military cybercommand. He stated that cyber-criminals have cost US citizens over $8 billion worth of stolen data and that the figure worldwide was up to $1 trillion. Appoint a cybersecurity policy official responsible for coordinating the Nation’s cybersecurity policies and activities; establish a strong NSC directorate, under the direction of the cybersecurity policy official dual-hatted to the NSC and the NEC, to coordinate interagency development of cybersecurity-related strategy and policy. Prepare for the President’s approval an updated national strategy to secure the information and communications infrastructure. This strategy should include continued evaluation of CNCI activities and, where appropriate, build on its successes. Designate cybersecurity as one of the President’s key management priorities and establish performance metrics. Designate a privacy and civil liberties official to the NSC cybersecurity directorate. Convene appropriate interagency mechanisms to conduct interagency-cleared legal analyses of priority cybersecurity-related issues identified during the policy-development process and formulate coherent unified policy guidance that clarifies roles, responsibilities, and the application of agency authorities for cybersecurity-related activities across the Federal government. Initiate a national public awareness and education campaign to promote cybersecurity. Develop U.S. Government positions for an international cybersecurity policy framework and strengthen our international partnerships to create initiatives that address the full range of activities, policies, and opportunities associated with cybersecurity. Prepare a cybersecurity incident response plan; initiate a dialog to enhance public-private partnerships with an eye toward streamlining, aligning, and providing resources to optimize their contribution and engagement. In collaboration with other EOP entities, develop a framework for research and development strategies that focus on game-changing technologies that have the potential to enhance the security, reliability, resilience, and trustworthiness of digital infrastructure; provide the research community access to event data to facilitate developing tools, testing theories, and identifying workable solutions. Build a cybersecurity-based identity management vision and strategy that addresses privacy and civil liberties interests, leveraging privacy-enhancing technologies for the Nation. What is promising about the Review is that there's repeated focus on outcomes as opposed to the inputs. Too often forward progress is hindered by the inefficient efforts of trying to define process before goals and objectives are clearly defined and understood. Rather, the Review consistently attempts to make it clear what the strategic outcomes are, and from those objectives, the development of process will be guided. The Review also states, “Other structures will be needed to help ensure that civil liberties and privacy rights are protected.” The inclusion to help protect our privacy and civil liberties is an indication of the balanced intention of the plan. Money will also be set aside for research and development of security technologies, from which there will be significant opportunity. What I'm not certain about is the overall effectiveness the Cyber-Security Chief will have. Specifically, the position will not have direct access to the president. As a result, this position may not be high-level enough to prevent the almost certain bureaucratic nonsense, internal bickering and games that could waste millions/billions of dollars. Though the Review solely focusses on defensive measures, I'm also curious what efforts are underway, if any, towards the development and potential use of cyberweapons. Overall, the document doesn't suggest that there will be any major changes that will affect the private sector within the near term. The Review recommends specific changes to the direction of future US policies. Within the mid-term I imagine that lawmakers will develop regulations that will require the sharing of security incident data from the private sector with the government, presumably tempered with the commitment to ensure civil liberties. I anticipate that we will also see more emphasis put towards penetration testing and incident response. ITIL - the Information Technology Infrastructure Library - is a set of best practices and guidelines that define an integrated, process-based approach for managing information technology services. ITIL can be applied across almost every type of IT environment. Interest in and adoption of ITIL has been steadily increasing throughout the world; the numerous public and private organizations that have adopted it include Proctor & Gamble, Washington Mutual, Southwest Airlines, Hershey Foods, and the Internal Revenue Service. In addition to the often touted benefits of ITIL - aligning IT with the needs of the business, improving service quality, decreasing the costs of IT service delivery and support - the framework can aid the information security professional both directly (there is a specific Security Management process) and indirectly. This article will provide a general overview of ITIL and discuss how ITIL can improve how organizations implement and manage information security. ITIL began in the 1980s as an attempt by the British government to develop an approach for efficient and cost-effective use of its many IT resources. Using the experiences and expertise of successful IT professionals, a British government agency developed and released a series of best-practice books, each focusing on a different IT process. Since then, ITIL has become an entire industry of organizations, tools, consulting services, related frameworks, and publications. Currently in the public domain and still evolving, the 44-volume set of ITIL guidelines has been consolidated into 8 core books. When most people discuss ITIL, they refer to the ITIL Service Support and Service Delivery books. These contain a set of structured best practices and standard methodologies for core IT operational processes such as Change, Release, and Configuration Management, as well as Incident, Problem, Capacity, and Availability Management. ITIL stresses service quality and focuses on how IT services can be efficiently and cost-effectively provided and supported. In the ITIL framework, the business units within an organization who commission and pay for IT services (e.g. Human Resources, Accounting), are considered to be "customers" of IT services. The IT organization is considered to be a service provider for the customers. ITIL defines the objectives, activities, inputs, and outputs of many of the processes found in an IT organization. It primarily focuses on what processes are needed to ensure high quality IT services; however, ITIL does not provide specific, detailed descriptions about how the processes should be implemented, as they will be different in each organization. In other words, ITIL tells an organization what to do, not how to do it. The ITIL framework is typically implemented in stages, with additional processes added in a continuous service improvement program. Strategic: An organization's objectives are determined, along with an outline of methods to achieve the objectives. Tactical: The strategy is translated into an appropriate organizational structure and specific plans that describe which processes have to be executed, what assets have to be deployed, and what the outcome(s) of the processes should be. Operational: The tactical plans are executed. Strategic objectives are achieved within a specified time. Configuration Management: Best practices for controlling production configurations (for example, standardization, status monitoring, asset identification). By identifying, controlling, maintaining and verifying the items that make up an organization's IT infrastructure, these practices ensure that there is a logical model of the infrastructure. Incident Management: Best practices for resolving incidents (any event that causes an interruption to, or a reduction in, the quality of an IT service) and quickly restoring IT services. These practices ensure that normal service is restored as quickly as possible after an incident occurs. Problem Management: Best practices for identifying the underlying cause(s) of IT incidents in order to prevent future recurrences. These practices seek to proactively prevent incidents and problems. Release Management: Best practices for the release of hardware and software. These practices ensure that only tested and correct versions of authorized software and hardware are provided to IT customers. Availability Management: Best practices for maintaining the availability of IT services guaranteed to a customer (for example, optimizing maintenance and design measures to minimize the number of incidents). These practices ensure that an IT infrastructure is reliable, resilient, and recoverable. Financial Management: Best practices for understanding and managing the cost of providing IT services (for example, budgeting, IT accounting, charging). These practices ensure that IT services are provided efficiently, economically, and cost-effectively. Service Level Management: Best practices for ensuring that agreements between IT and IT customers are specified and fulfilled. These practices ensure that IT services are maintained and improved through a cycle of agreeing, monitoring, reporting, and reviewing IT services. There is also a Service Desk function that describes best practices for establishing and managing a central point of contact for users of IT services. Two of the Service Desk's most important responsibilities are monitoring incidents and communicating with users. 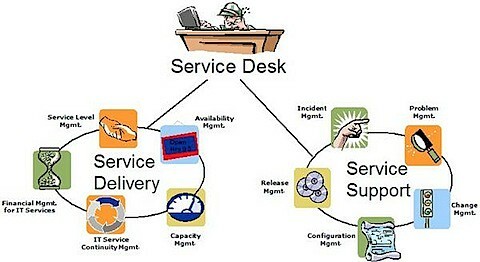 Figure 1 depicts the above processes, showing how the Service Desk function serves as the single point of contact for the various service management processes. More detailed information about the above processes and Service Desk function can be found in the references listed at the end of this article. ITIL seeks to ensure that effective information security measures are taken at strategic, tactical, and operational levels. Information security is considered an iterative process that must be controlled, planned, implemented, evaluated, and maintained. Using risk analysis, IT customers identify their security requirements. The IT department determines the feasibility of the requirements and compares them to the organization's minimum information security baseline. The customer and IT organization negotiate and define a service level agreement (SLA) that includes definition of the information security requirements in measurable terms and specifies how they will be verifiably achieved. Operational level agreements (OLAs), which provide detailed descriptions of how information security services will be provided, are negotiated and defined within the IT organization. The SLA and OLAs are implemented and monitored. Customers receive regular reports about the effectiveness and status of provided information security services. The SLA and OLAs are modified as necessary. Information security plans: describes how a policy is implemented for a specific information system and/or business unit. Information security handbooks: operational documents for day-to-day usage; they provide specific, detailed working instructions. There are a number of important ways that ITIL can improve how organizations implement and manage information security. ITIL keeps information security business and service focused. Too often, information security is perceived as a "cost center" or "hindrance" to business functions. With ITIL, business process owners and IT negotiate information security services; this ensures that the services are aligned with the business' needs. ITIL can enable organizations to develop and implement information security in a structured, clear way based on best practices. Information security staff can move from "fire fighting" mode to a more structured and planned approach. With its requirement for continuous review, ITIL can help ensure that information security measures maintain their effectiveness as requirements, environments, and threats change. ITIL establishes documented processes and standards (such as SLAs and OLAs) that can be audited and monitored. This can help an organization understand the effectiveness of its information security program and comply with regulatory requirements (for example, HIPAA or Sarbanes Oxley). ITIL provides a foundation upon which information security can build. It requires a number of best practices - such as Change Management, Configuration Management, and Incident Management - that can significantly improve information security. For example, a considerable number of information security issues are caused by inadequate change management, such as misconfigured servers. ITIL enables information security staff to discuss information security in terms other groups can understand and appreciate. Many managers can't "relate" to low-level details about encryption or firewall rules, but they are likely to understand and appreciate ITIL concepts such as incorporating information security into defined processes for handling problems, improving service, and maintaining SLAs. ITIL can help managers understand that information security is a key part of having a successful, well-run organization. The organized ITIL framework prevents the rushed, disorganized implementation of information security measures. ITIL requires designing and building consistent, measurable information security measures into IT services rather than after-the-fact or after an incident. This ultimately saves time, money, and effort. The reporting required by ITIL keeps an organization's management well informed about the effectiveness of their organization's information security measures. The reporting also allows management to make informed decisions about the risks their organization has. ITIL defines roles and responsibilities for information security. During an incident, it's clear who will respond and how they will do so. ITIL establishes a common language for discussing information security. This can allow information security staff to communicate more effectively with internal and external business partners, such as an organization's outsourced security services. ITIL does not typically start with IT - it is usually initiated by senior management such as the CEO or CIO. As an information security professional, however, you can add value by bringing ITIL to the attention of senior management. With the framework's rapidly increasing adoption, your organization might already be talking about ITIL; letting your management know specifically about ITIL's information security benefits can help spur its adoption. Implementing ITIL does take time and effort. Depending on the size and complexity of an organization, implementing it can take significant up front time and effort. For many organizations, successful implementation of ITIL will require changes in their organizational culture and the involvement and commitment of employees throughout the organization. Information security measures are steadily increasing in scope, complexity, and importance. It is risky, expensive, and inefficient for organizations to have their information security depend on cobbled-together, homegrown processes. ITIL can enable these processes to be replaced with standardized, integrated processes based on best practices. Though some time and effort are required, ITIL can improve how organizations implement and manage information security. Author Resource: Steven Weil, CISSP, CISA, CBCP is senior security consultant with Seitel Leeds & Associates, a full service consulting firm based in Seattle, WA. Mr. Weil specializes in the areas of security policy development, HIPAA compliance, disaster recovery planning, security assessments, and information security management. He can be reached at sweil@sla.com. When an employee quits or is let go, leave his network log ins and e mail accounts enabled. You never know when he might want to check in on things. Rely solely on technology. Firewalls, encryption and antivirus software are all you need to protect your information. Completely outsource your information security initiatives. There's no need for anyone inside your organization to worry about such matters. Leave your operating systems and software applications with the default settings. System hardening is for the birds. Don't train your users on your security policies and what to look out for, such as unsolicited e mail attachments and common hacker activities. Your users can't be burdened with more training. If you do happen to have a security policy, never refer to it, enforce it, update it or do what it says. By all means, don't take an inventory of your information systems or document your network. Don't pay attention to or even bother to understand what you're trying to protect. Don't patch your software or update your virus signatures, and never, ever, run vulnerability assessments to detect newly discovered software flaws and system misconfigurations. It s just too time consuming. Respond to hacker attacks, viruses and other intrusions as they happen don't be proactive in dealing with them. Ignore all known best practices and international information security standards from the International Standards Organization, Internet Engineering Task Force, SANS Institute, and your local information security consultant, to name a few. Leave your databases, especially those containing credit card or other confidential information, unencrypted. And be sure to store them on publicly accessible servers. Run your business without disaster recovery and business continuity plans. After all, you can think clearly and make critical decisions under pressure, right? Don't monitor your systems. They'll be fine running by themselves, and if anything major happens with the integrity or availability of your information, you'll be notified automatically, won't you? Don't back up your data, but if you must, don't test your backups. Also, leave your backup media on site preferably sitting on top of an uninterruptible power supply. Don't create any security policies that document how you re safeguarding your information to protect your organization and clients from information disasters and legal liabilities. Apply the principle of greatest privilege. Give all users the greatest amount of access to your information systems. Everyone should have access to everything ... it's only fair, right? Don't subscribe to security bulletins and mailing lists, and don't ever read information security trade magazines. Don't, under any circumstances, get upper management involved in information security initiatives. They're business focused and shouldn't be bothered or even care about technology or the liabilities associated with their information, right? Use passwords that consist of your pet's name, your name, your mom's maiden name, or your birthday. That way, you won t forget them. Better yet, just use "password" for your passwords. Also, don t forget to write them down and post them on your monitor or keyboard. Leave your servers and network equipment in a room to which everyone, including outsiders off the street, has access. By following these practices you can be sure that your computers will be an easy target for viruses, disgruntled employees, hackers, and others. You can show up to work each day with the pride of knowing that there's an excellent chance that your business data will be missing when you arrive. It's just a matter of time, and it s all easily achieved. Author Resource:-> Nick Pegley is VP Marketing for All Covered: Technology Services Partner for Small Business, providing disaster recovery solutions and technology services in 20 major U.S. metro areas. Where The 'Bleep' Did My Identity Go? I am a die-hard Mac user. Have been for over twenty years and it only gets better. The PC certainly has its place but for creative projects well... the Mac is superior and the good news is is that Mac's do not get viruses. My partner is a die-hard PC user. If you ever viewed the recent Mac commercials then you can imagine our relationship. I have recently added creative video production to my advertising agency's services and my partner began to feel a bit competitive. I have always thrived on competition and believe it to be good... even if it is with your partner. My first video was a Creative Director's dream -- my client gave me complete creative carte blanche. My partner, who is a copywriter, had recently bought PC video software and... well, he was just dying to use it and prove that it would triumph over the Mac. Once I completed all the storyboards, I sent a crew out to shoot on location. As I passed my partners office, I peaked in his office and I could see sweat dripping from his forehead. He was struggling and I silently laughed, wishing we had made a bet. Two weeks later the video was completed; fully edited and designed on my Mac. The client approved the video and it was a 'go'. My partner, on the other hand, was still trying to learn the software and his final product was 'the homegrown version' clip. It is comical, but seriously our differences actually are our strengths. An experienced Mac user tends to be 'cocky' at times because there really are no limits to what our little machines can do, and I am no exception -- I rarely see any limits. There was, however, a disadvantage I experienced recently that unfortunately is nondiscriminating towards neither a Mac nor a PC: Identity Theft. This week I became victim to Identity Theft and therefore a statistic in the wonderland of technology. No longer holding the 'it could never happen to me' mentality because it did and it happens to millions of people a day without some consumers ever realizing it. Technology is incredible and we can do things today that were never imagined twenty years ago. But as technology juices up the creative sector, it also feeds the larcenists and opens up a world of crime unheard of years ago. Once considered a protection, our social security number has actually transformed into the very bait that perpetrators look for to steal identities. Who is walking around with my name? Who is walking around with my numbers and personal information? Is it someone reading this article? Is it someone I do business with? Is it my neighbor? This is a form of terrorism, which stalks our daily lives in the twenty-first century and ruins lives. I have been 'Judi Lynn' all of my life and 'Lake' for the past eleven years and am very happy to be me. How dare a stranger invade my life and steal it from me. 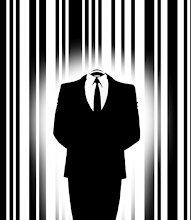 I have heard nightmare stories of people haunted for years through Identity Theft and to quote the 1970s movie Network, "I am mad as hell and I am not going to take it anymore!" 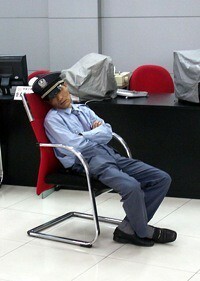 Unfortunately, in this day and age, high security precautions must be taken both personally and professionally. The best defense against this heinous crime is education and guidance but 'the damned if you do' fact is that skilled identity thieves will use a variety of methods to gain access to your data. There are many websites available on the Internet that educates people on steps to protect themselves before and after Identity Theft occurs. One such site I recommend is The Federal Trade Commission For The Consumer. Place passwords on all of your credit card, bank, and phone accounts. Avoid using easily available information like your mother's maiden name, your birth date, the last four digits of your SSN or your phone number, or a series of consecutive numbers. When opening new accounts, you may find that many businesses still have a line on their applications for your mother's maiden name. Ask if you can use a password instead. Don't think that identity theft can not happen to you, expect that it will so that it won't -- stay informed and stay educated so you do not become a statistic.